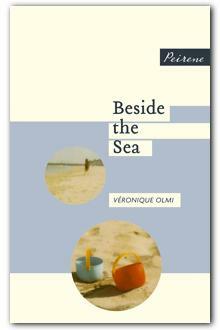 Peirene Press is an independent publisher specialising in novellas in translation. I spoke to Marketing Director Maddy Pickard on the art of translation, the transformation of the British book market, and the allure of the novella. It depends on the book. We have a few that we work with again and again – we’ve done three books with Jamie Bulloch, and we’ve worked with Emily and Fleur Jeremiah, a mother and daughter translation team, a couple of times. Sometimes the translators come to us, which we really love. It’s really important that a translator is passionate about the text. Adriana Hunter who translated our first title, Beside The Sea, came to us, and Emily Jeremiah comes to us with titles. Other than that we put out calls through cultural agencies or through word of mouth… We always commission sample translations, so Meike Ziervogel [Peirene’s Publisher] might go through one or two that aren’t quite right before we settle on someone. She will then work very closely with that translator once we’ve got a first draft back to make sure that it is good enough, it has to be very high quality. Translation is something of an art in itself, so do you consider your books to be co-authored, maybe even tri-authored, once the publisher has finished editing? The way I would put it is that it is a new product, with the greatest of respect to the author and the original language. But any translation of a book is not the same as the original title. It’s something new and fresh – a creation. I wouldn’t want our authors to think that we call them co-authored, but I very much believe that it’s a 50-50 split. I used to run the Independent Foreign Fiction Prize, which is a prize for literature in translation and is the only prize that celebrates both the author and the translator equally. They split the prize money, and that’s how I feel that translation should be. There should be equal recognition for the translator. The role of the editor is also under-appreciated. Meike works incredibly hard to hone the text to perfection for English language readers. Why do you specialise in novellas? There are three things that make us niche. There’s the fact that we publish novellas, that they’re in translation, and that it’s all contemporary. The novella is a European form that is under-appreciated in Britain. We recognise that as a small indie, we have to be niche – we can’t compete with the big publishing companies so we have to find our corner. Meike herself is very much a fan of the novella – it’s the form that she loves to read the most. She’s aware that no one else is doing this and it also means that we pick up books that other people won’t publish. British readers seem to be slightly wary of short fiction, because they think that it’s going to be too hard and literary, or that it’s not big enough to make it worth their while buying it. It’s a very conscious decision to give us narrow parameters to be able to excel in that category. Peirene’s books have been described in The Times Literary Supplement as ‘literary cinema for those fatigued by film.’ Do you think that the technological age – constant exposure to information chunks on blogs and websites – has fundamentally altered the way we read and consume information, and is the novella tapping into that change? On a personal level I think yes – the way that we consume writing has changed. I do a lot of my reading and consuming of content online through blogs. I couldn’t speak for a larger cultural shift, but I do wonder if there isn’t a receptiveness to short writing in a more bite-size form that perhaps there wasn’t before. When you say that you’re occupying a niche market, this goes against all the trends of the ebook market. How do you feel that the rise of the ebook has affected the traditional book selling market? The middle market is what I would describe as WHSmith literature – chick lit, thrillers, stuff that you see when you go the train station. This has and will struggle to compete with ebooks, as this is primarily bought as disposable fiction. This market is not buying the souvenir of reading that we offer… However with the books that we provide, I’m convinced that people double buy. If people buy the ebook, they’d also like to have the tangible object on their shelves. For our books, I see ebooks as a marketing tool – I would have them out there for free, or bundle them. There’s an initiative starting now that Amazon and other publishers are doing which is the ability to ‘bundle’ a book, meaning that you can buy the ebook and paper copy together… I don’t think most people are buying the ebook above the paper copy, and that’s mostly because these books are short, and people who like our books like the objects on the shelves. How do you balance issues of economics and sustainability? On your website you talk about the quality and type of paper that you use – is that a particular concern in the design of the book? Absolutely, we like to make them beautifully produced. At our Roaming Stall, we travel about and talk face to face with the people who buy our books. We see how they buy and interact with them, and people stop and touch them – they are desirable objects. That’s incredibly important for a particular section of the book-buying market. It’s not for all readers, but it is for some. Do you feel the need to counter potential accusations of elitism, or is that somewhat irrelevant for you as that is the sector of the market that you are trying to corner? I’m quite happy that we are niche because what I’m driven by professionally is giving new audiences the tools to feel confident picking up something different… The design is very beautiful and once readers have come across us I hope that they can trust us to give them something of quality. We hold readers by the hand – we hold coffee mornings and provide reading guides on the website, we have literary events that involve actors and music so that it’s not just about the ‘strictly literary’. So while you might consider the content of our books to be ‘elitist’, we do everything in our power to make sure that anybody can actually be part of our family of readers. Are the reading guides intended for book clubs, more educationally based, or both? I first started writing them for library reading groups, but they’re also there as signposts for the themes of the books. You don’t necessarily have to have read the book to be able to look at the reading guide and see that it’s asking questions about, say, love and writing style, to identify the key themes of the book. Again, it’s a way to help people find a pathway into the books. Do you find that you have a specific book club market? I think so, yes. We find that we have a lot of word of mouth support… The books are a good length for book groups … because they’re novellas and not full-length novels there’s only one main plot thread throughout so it’s quite easy to discuss the books in a group. Is that partly why you publish under themes? The themes are again about giving people a step on the ladder, and the tools to be able to engage with the books. I would say that it’s a sample of the best contemporary European fiction grouped by themes. Why have you chosen the themes you’ve had so far? In our first year of publishing, Meike chose three very female voices as her debut titles. I became involved as she was publishing the second title… She’d chosen masculine voices for the next year as a deliberate decision to counteract the initial choice of female voices. Out of that we realised that it was a very useful way to be able to talk about the curation and to help people understand the package. These books are all bestsellers in their countries of origin, but are very different to what appears on the British bestseller lists. Is the European market markedly different, and do you think this has anything to do with the education system? In Britain a lot of books are avoided on the curriculum for being ‘too difficult’ or unapproachable. I think in Britain we’re a bit scared of reading difficult books – maybe of being seen as intellectual or elitist. But The Mussel Feast is a set text in German schools, as is Stone in a Landslide. As a reader I would love it if more people were reading books in translation from an earlier age. What we do as a company is provide windows on the world through our books, and that helps people to be aware of others if you’ve read stories that give you that sense of place and time, and difference. We find that readers are wary of foreign author names … and I think that the book trade is not useful either. High street bookstores often stock the same types of books repeatedly, so publishers tend towards those books and themes and dress them in similar jackets because they know that they sell. The commercial bottom line restricts publishers and booksellers. Selling books by publisher instead of author name is quite novel in that respect. Is providing a sense of orientation part of the motivation behind the book designs? I’m someone who has maybe 3,000 books in my flat. I buy a lot of books and yet I walk into a bookshop and have no idea where to begin. I look to myself when I think about potential buyers – what would I find useful as a book buyer? I think that the branding, the curation, everything comes from thinking about what readers want when it comes to picking a book. We have built trust in our brand (in terms of our design, our voice and our name) which means that while people may well not have heard of our authors before, they know they will get a book of a certain style and quality when they pick up a Peirene title. Of all the books you’ve published, which is your personal favourite and why? I found myself sitting in a pub reading our latest title Chasing the King of Hearts four times cover to cover. I love this book. I also love Portrait of the Mother as a Young Woman – it’s a single sentence set in 1943 in Rome. A young woman goes to meet her husband but he is sent away to fight as soon as she gets there, and the whole book takes place in an hour during her walk from her hostel to a church. Because it’s written in a single sentence you get that sense of movement, and it’s written from the perspective of an ordinary Germans’ experience of the war which I also like. Beside the Sea is particularly dark and that gripped me. There are some that I struggled with a little more, but I do love all of them. I wouldn’t work for the company if I didn’t genuinely believe in the books! When you say that ‘Beside the Sea’ is particularly dark – ‘dark’ or ‘depressing’ fiction seems to be something that people often shy away from. Do you particularly look to tackle this kind of literature? I think fiction is one very good way of dealing with more difficult issues – our fears and worries. Beside the Sea can be a challenging book to sell – in one bookstore a customer returned to throw the book at the bookseller because she was so shocked! I see that as a sign of success – that the book had the power to move her in that way, but obviously you have to be careful who you recommend certain books to… But the people that I’ve given this book to have seen aspects of their life in it; one friend who read it found a completely new respect for his mother and how difficult it must have been for her looking after small children. That’s an amazing thing for a 120 page story to be able to do. For more information about Peirene Press, please visit their website. 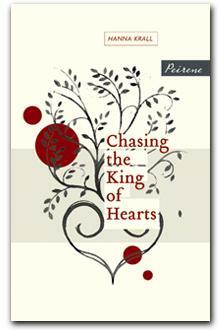 We will be reviewing their latest title, Chasing the King of Hearts, later next week. It is currently available to buy or download from the Peirene website.